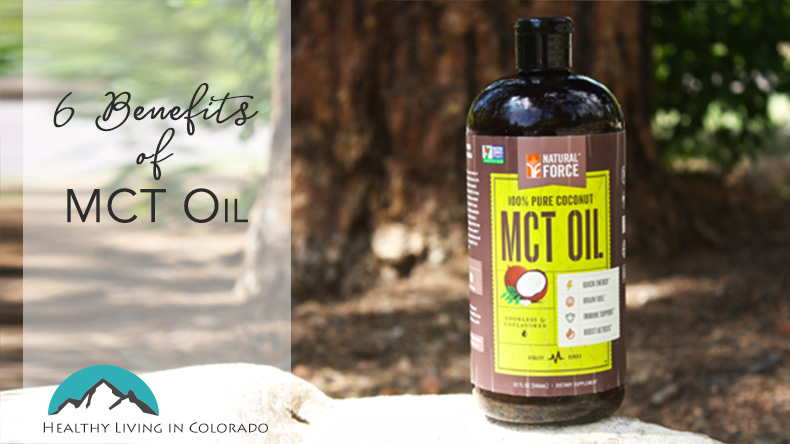 MCT Oil is a healthy, beneficial, and easy ingredient to add to meals. I love MCT oil and use it all the time. But I have to tell you a funny story about my first day using it so hopefully you won’t have the same misfortune. And laughter is healthy, right?!? About a year ago, I ordered my MCT oil from Thrive Market, and it had just arrived in the mail. I was eager to try it (as I am all of my new health ingredients) because I had never used it before. We had been in China, and I had never heard of it years ago before we left the US. So the first morning I busted open this giant bottle of MCT oil (which lasts forever!) and put a little bit in my coffee. It tasted fine, maybe a tad bit oiler than normal, but there was no flavor. I decided right then and there it was my new favorite thing, and I could add it to anything. Leaving it out on our counter to remind me to use it again later in the day, I didn’t yet know what I would use it for. But I was excited to try it in something else. Lunchtime rolled around, and I made a salad. I decided to put a little bit of MCT oil with apple cider vinegar on my salad. Worst decision ever. I thought I was done after 3 trips to the toilet, and I had to go to Costco that afternoon. A friend was flying in from out of state, and I needed to get groceries so I could cook for her and enjoy our visit without having to shop. So my daughter and I went to Costco, thinking I was in the clear. Ummm, no. I had managed to shop and pay without a problem, but in the parking lot on the way to the car, I realized I was about to have the Big D again! So I had to push my cart and all of my groceries BACK INTO COSTCO so I could run to the bathroom. I could not even put the groceries into my car! So embarrassing. But I made it, and thankfully disaster pants didn’t prevail that day, although it tried. When I got back to the car, groceries finally unloaded, I Googled MCT oil to see if diarrhea was a side effect. Yes, yes indeed, it was! I was just relieved I wasn’t getting sick, especially with my friend flying in to visit that very night. And ever since they we have used the term “disaster pants” because that’s what my Google search turned up. I still laugh just thinking about it! The story above had a happy ending and all was well. I just needed to educate myself better before jumping in with both feet. And I figured out that MCT oil is fine in small quantities, but not to overdo it. Finally, I learned to start with a small amount and work my way up to more. Now my family uses MCT oil in stews, soups, meat dishes, etc. And we’ve never had a problem. Of course I didn’t tell them for months I had been using it since they all knew about how much trouble it had caused my stomach! On another note with how it can help our stomachs… when I was caring for my dying mother, she often would have constipation due to the chemo and radiation, so I would intentionally make dishes that I could hide it in so it would help her use the bathroom. It did help, and she never had diarrhea because of it since I used small quantities. I hope you enjoyed this post. Please post any funny stories you have about MCT oil below.